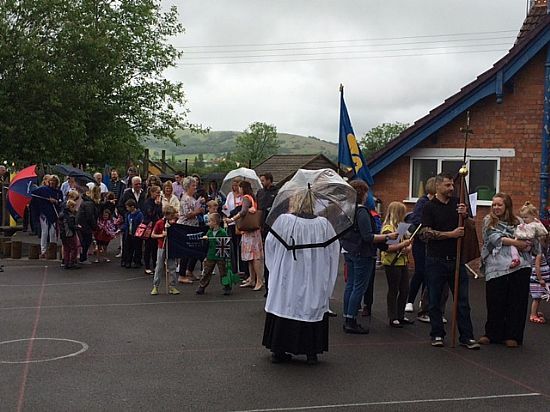 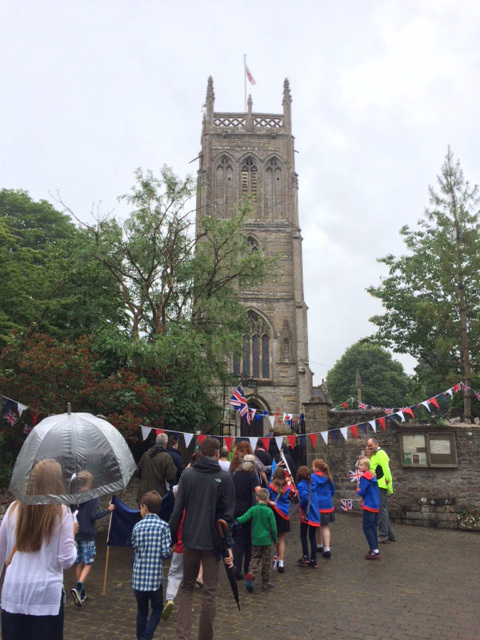 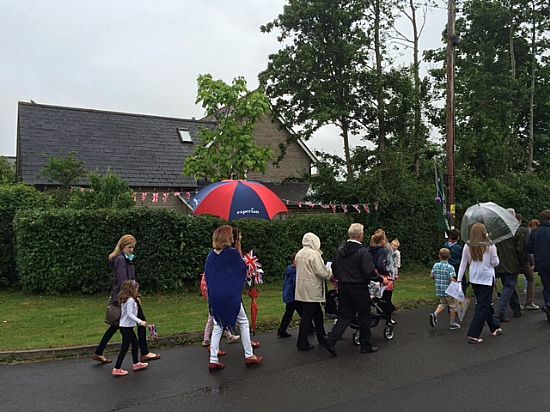 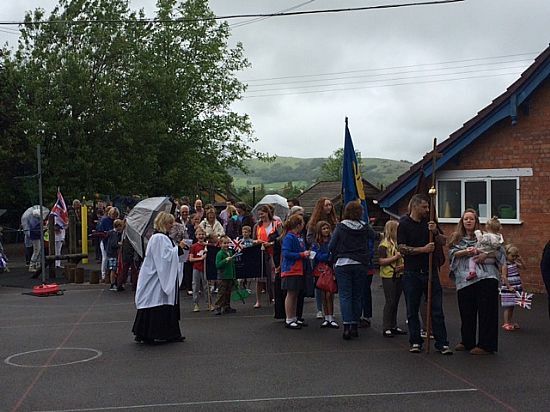 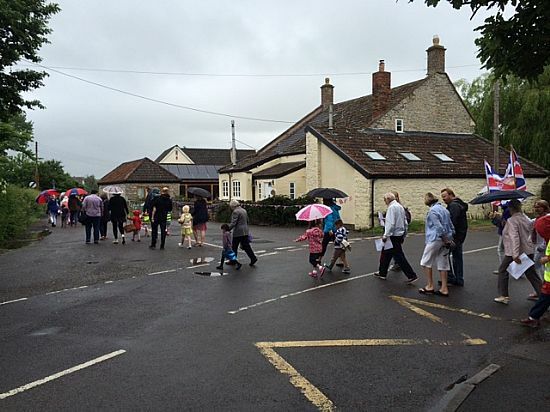 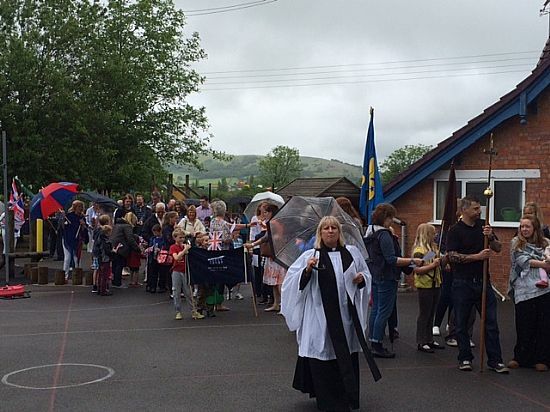 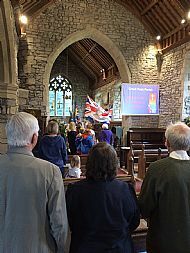 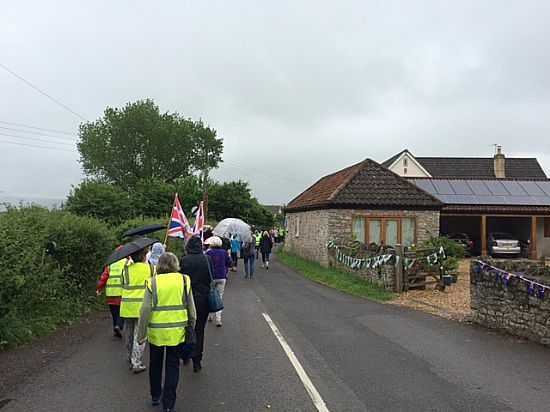 We had a parade from Weare School to St Gregory's on Sunday 12 June, starting at 9.30, with Weare First Guides and Brownies, Scouts and pupils from Weare Academy School with teacher Mrs Hilary Hugh. 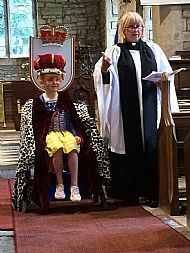 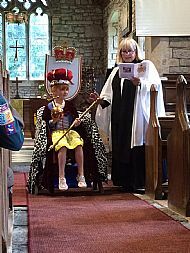 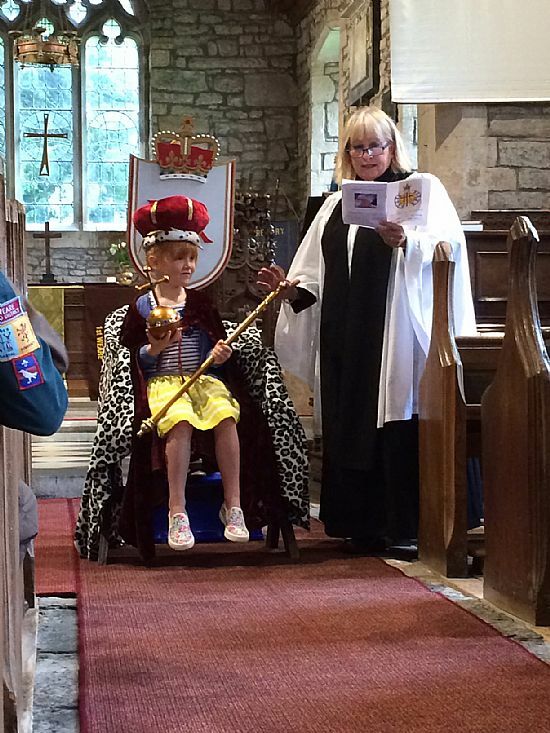 Kitty offered to be Queen for my talk at a special service for Her Majesty which was attended by 86 adults and 47 children. 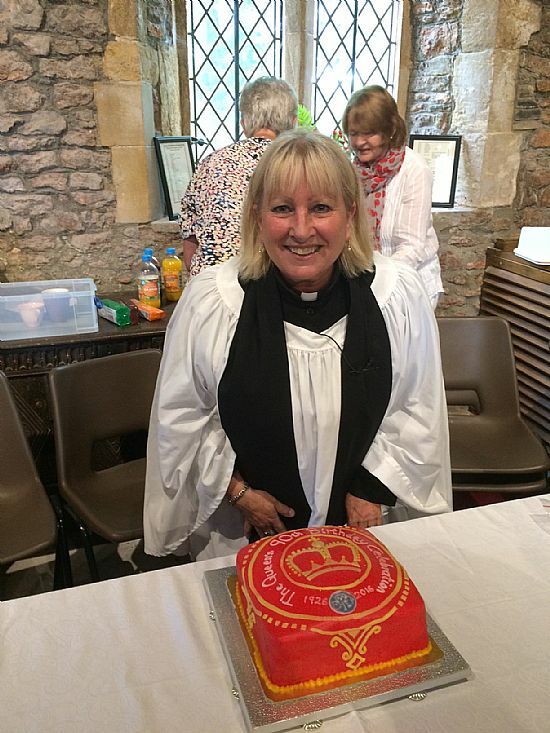 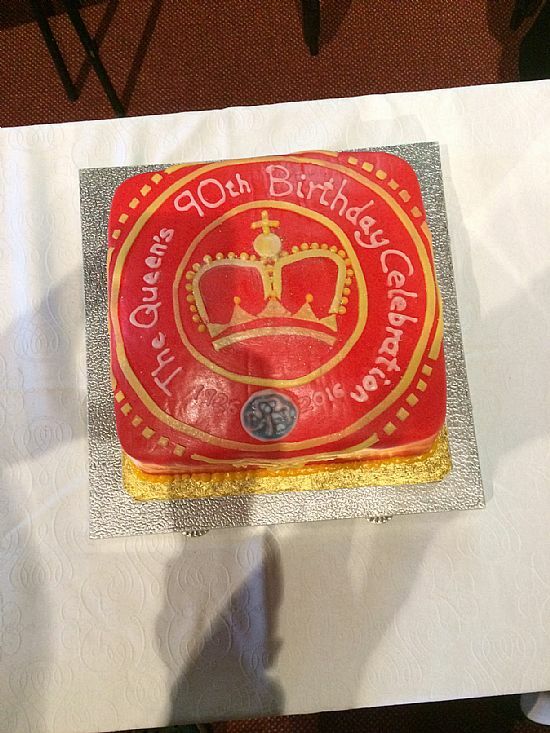 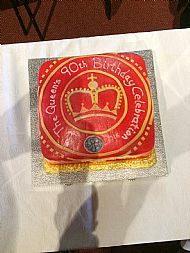 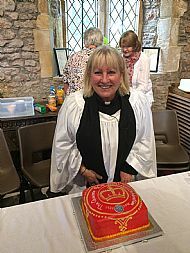 We had a birthday cake made by the Guides and toasted the Queen with bubbly. 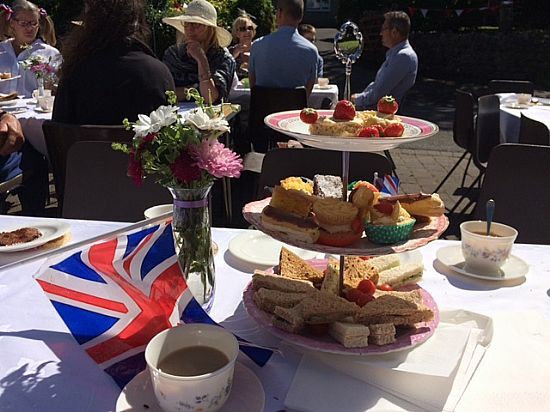 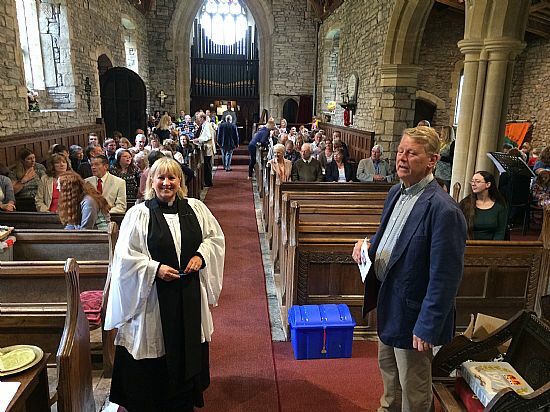 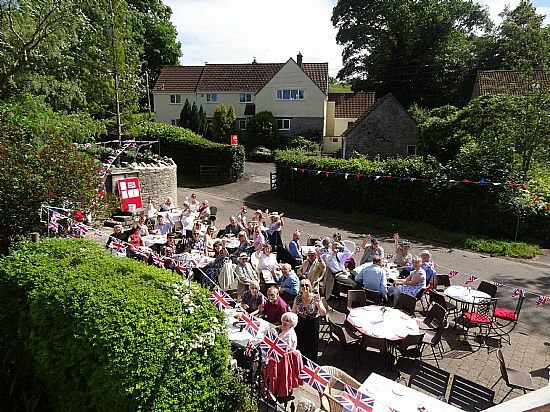 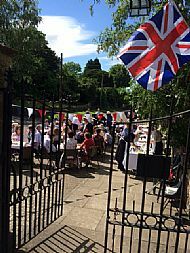 In the afternoon, we had a Vintage tea in front of the Church, attendance 106. 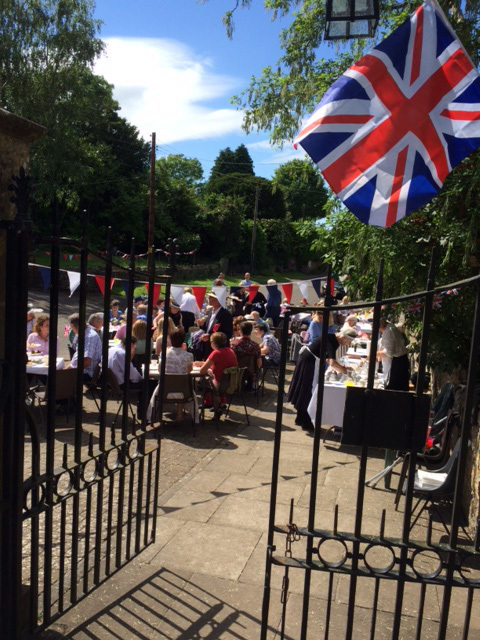 The weather suddenly cleared just after our tea started at 3pm, what an answer to prayer. 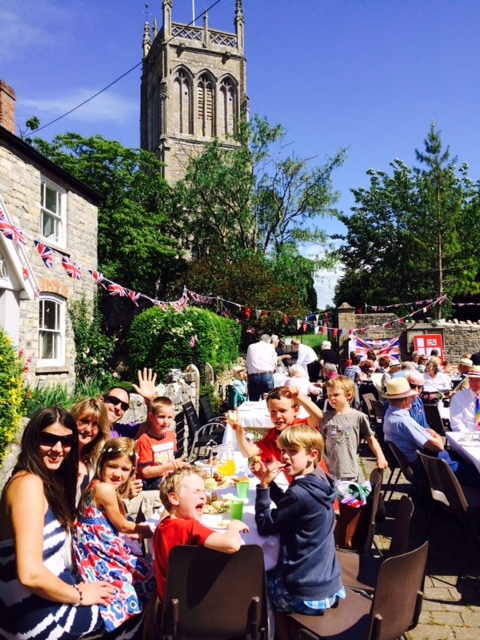 It was hot and a very special time of celebration with a proper high tea and games for children. 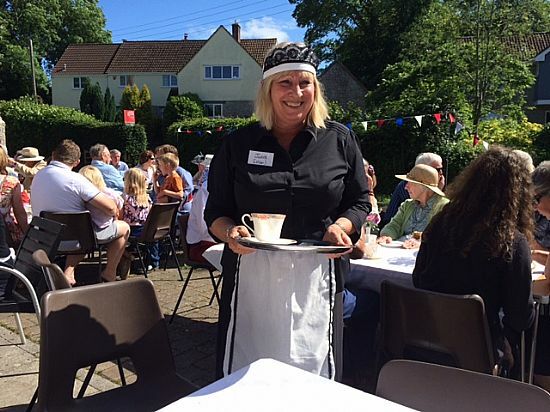 It was enjoyed by all and the 'nippys' (waiters) enjoyed it too. 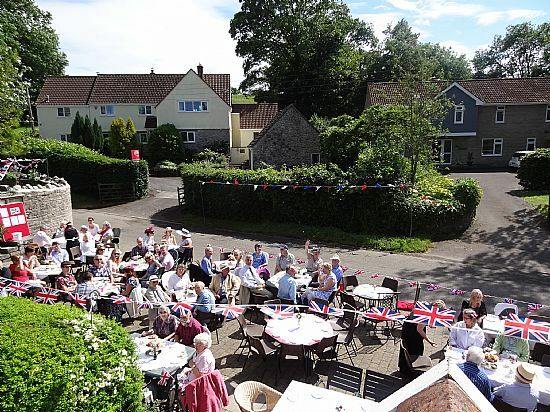 Many thanks to Matt O'Connor and Mike Freedman for the photos.